When it comes to the RMS Titanic, there are some mysteries that will endure forever because the ship itself can never be raised from the bottom of the ocean for a full-on scientific investigation. However, many historians continue to investigate Titanic’s first and only voyage to learn about every moment they can. Like with any historical event, there are always enduring mysteries that people have an interest in, but the problem is that proving them can be difficult or even impossible. One such mystery that some people find very interesting is the question of whether or not guns were fired on the night of the Titanic disaster and whether or not some passengers were murdered. 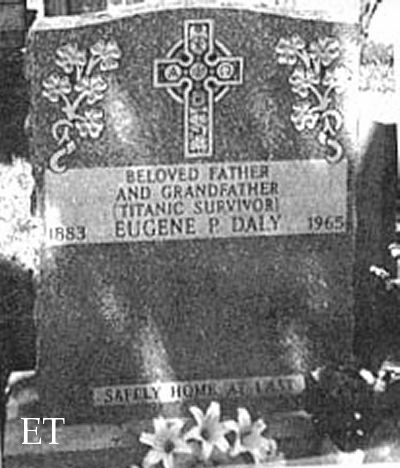 Eugene Patrick Daly was a 29-year-old man who lived in Athlone, Ireland. Like many other third-class passengers, Daly was traveling to America to make a new life for himself. Daly was travelling with two women who were also from Athlone: Margaret Daly, who was not a relative, and Bertha Mulvihill. While on the Titanic, Daly played on his elbow pipes and was on deck playing them as the mighty steamship left Ireland and headed out to open sea. 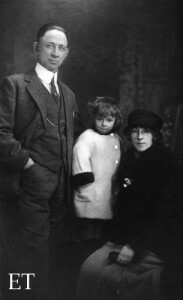 On the night that the Titanic struck an iceberg and began to sink, Daly got his two traveling companions and placed them in lifeboat number 15. Daly was on deck and managed to survive the sinking by jumping overboard at the last moment. He was one of the men that was on the upside-down raft along with First Office Lightoller, Harold Bride, (who was underneath it,) and many others. However, before Daly was forced to jump for his life, he was the witness to an extraordinary event that involved an officer not only firing his gun, but killing two men in the process before taking his own life. The morning the Titanic slipped beneath the waves, the sea was filled with the bodies of the dead, 19 small lifeboats filled with bitterly cold passengers, debris, and huge chunks of ice. When the Carpathia arrived about an hour after the Titanic went down, it took several hours for the passengers to make their way to the ship and then evacuate the lifeboats. When Daly arrived on the Carpathia, he told his witnessing of the murder and suicide to Dr. Frank Blackmarr, who was the ship’s doctor. However, this was not the only person that Daly relayed the story to. Daly also wrote his sister back in Ireland about the event, and in 1915, he also testified to what he saw at the liability hearings to determine how much money survivors would get for their loss of goods that was stored in the Titanic’s cargo holds. 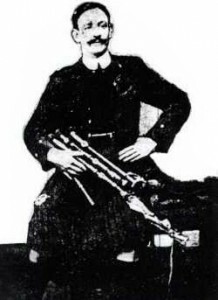 Day himself had filed a claim for $50 dollars for the loss of his bagpipes. Because Daly told his murder and suicide story to so many, there was a question as to whether or not he truly saw anything that night. There was a lot of activity happening before Titanic went down, and with everything being so chaotic and Daly standing in rising water, there were certainly reasons to possibly be mistaken about something, but Daly is not the only person to have claimed to have seen armed officers the night Titanic sank. There were at least four witnesses to armed officers that night including Colonel Archibald Gracie, Abraham Hyman, Jules Sap, Hugh Woolner, and George Rheims. Colonel Archibald Gracie not only testified to seeing officers firing their guns, but even identified them as First Officer William Murdoch and Second Officer Charles Lightoller. Another officer that was identified as having fired his revolver was Fifth Officer Harold Lowe, who reportedly fired his gun as his lifeboat was being lowered along the side of the ship to prevent men from the different decks from just jumping into the lowering lifeboat. There are many mysteries that happened on board the Titanic the night of April 15th, 1912, and some of them may never be solved. Did an officer murder two men who tried to get into a lifeboat before taking his own life? An officer committing murder and then suicide is just one of the many mysteries that will keep the Titanic historian and enthusiasts talking even if it never gets solved because after all, who doesn’t love a good mystery? Next post: A Titanic Mystery – Did A Man Dress Up As A Woman To Escape The Sinking Ship?